“Dystopian science fiction meets the most beloved fantasy creatures! In a future where dragons are real and live in our homes as pets, a young dragon breeder finds the egg of a unique species and tries to raise it. From playful Outbacks to unpredictable Jade Tangs, these little dragons usually don't burn much, they love fruit and don't molest young virgins. But they are still monsters, and Jack Ports knows this very well. He sells all kinds of varieties in his Flight Garden including the most dangerous of all: the American Mustang, a species of battle dragon created by a failed experiment of the U.S. Navy. 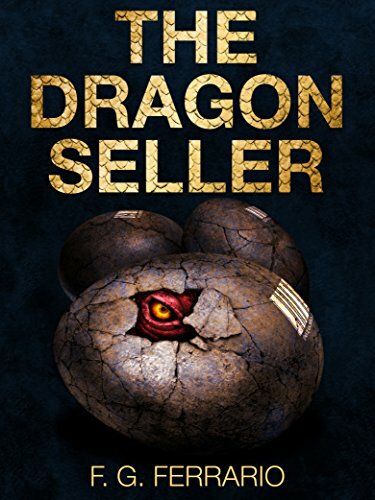 Dumped by his fiancée before the wedding and short on cash, Jack just wants to put his life back together, but after a colleague mysteriously disappears, he finds himself with a dragon egg of unknown origins. Set on raising it, Jack discovers that the egg contains a Primus, the first dragon of a new species, whose genes hide a secret that many men are looking for. And some are willing to kill to have it."